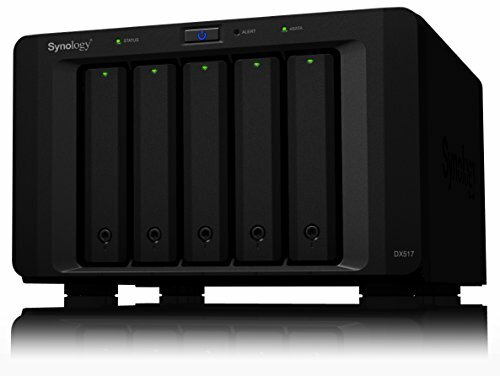 Synology DX517 offers simple storage capacity expansion solution for your Disk Station through its intuitive plug-n-use design. DX517 allows you to instantly scale up to 5 additional hard drives, so that you can expand RAID volume online or deploy the drives as a dedicated local backup destination for your Disk station. Synology DX517 is backed by Synology's 3-year limited warranty.